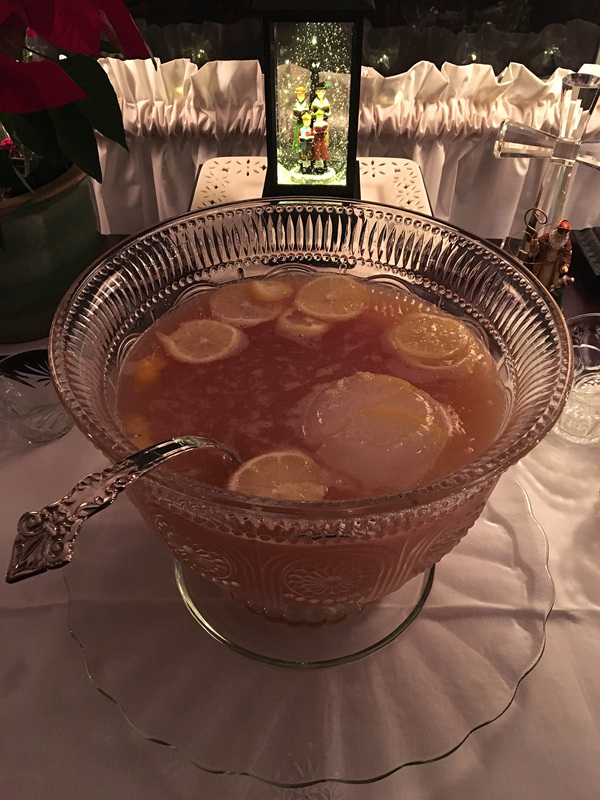 A friend and I took over libations duties at an annual Christmas Eve party and whipped up this beauty-- taken from Ted Haigh’s “Vintage Spirits & Forgotten Cocktails” book. 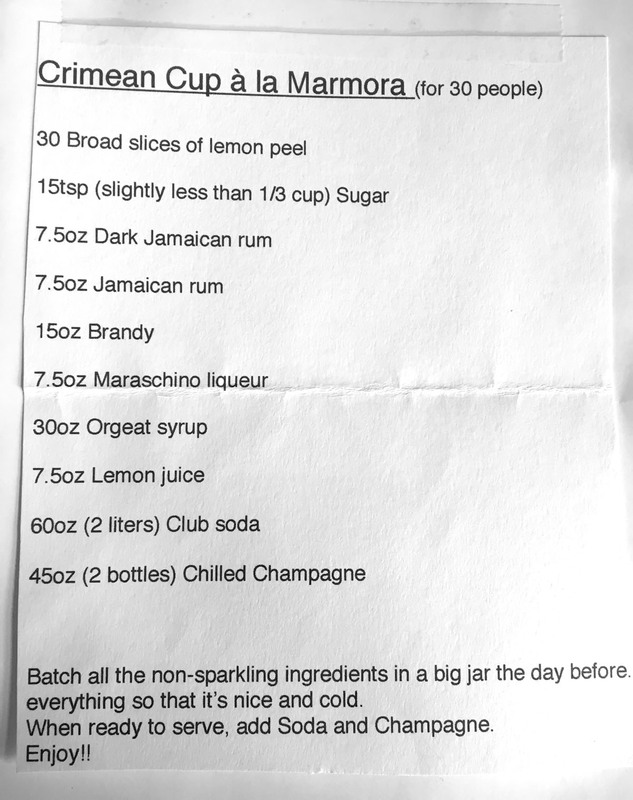 We tested six different Jamaican rums, four Maraschino liquors and four Cognacs to come up with the following mix. It proved to be absolutely delicious and a huge hit at the party. It is a nice punch although I tend to cut back on the sugar a bit. No champagne/sparkling wine? Sorry, yes-- we used Jean Vullien Crémant de Savoie. The hostess saved me a 500mL bottle of the core mix sans soda and sparkling, so I can enjoy it again for New Year's Eve.